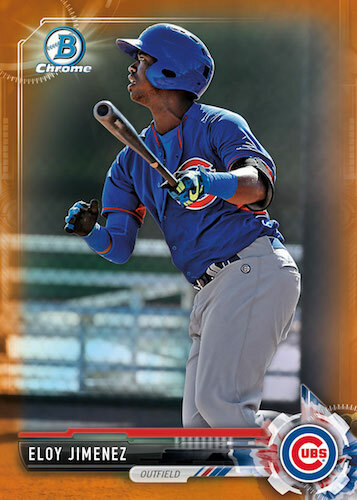 While 2017 Bowman Chrome Mini Baseball does not meet the standard card sizing, miniature chromium has never looked so good! 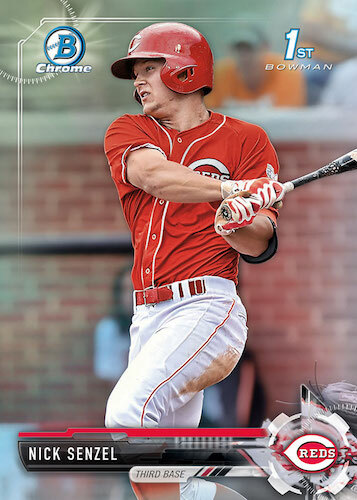 Paying tribute to a strong rookie and prospect class, the factory set compiles an extensive lineup of both, plus there are bonus packs with exclusive parallels. 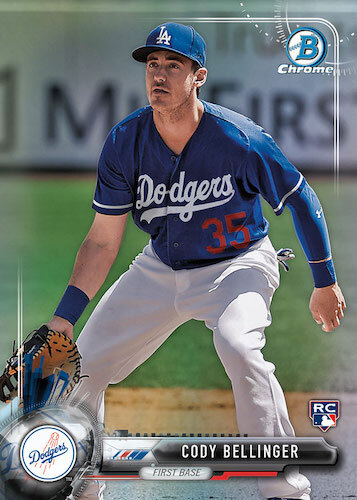 Featuring top rookies and prospects from 2017 Bowman Baseball and 2017 Bowman Chrome Baseball, the 273-card checklist includes standout rookies Aaron Judge and Cody Bellinger, as well as newer prospect names like Ronald Acuna. 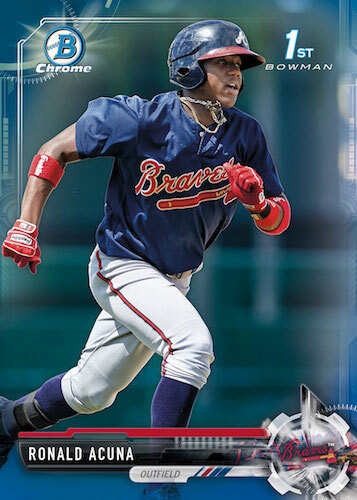 Essentially, the 2017 Bowman Chrome Mini Baseball complete sets provide a detailed summary of the young talent from the year, but in a convenient format. 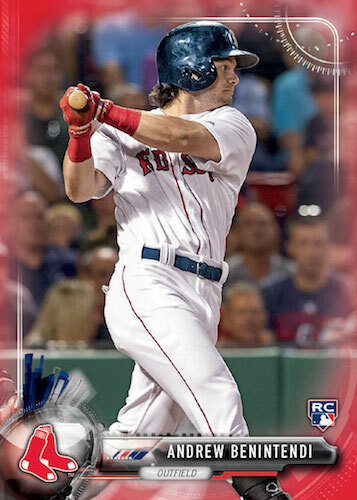 Another appealing aspect of the release is the trio of bonus packs that come in every hobby set. The 10-card packs each yield exclusive parallels, including limited Refractor editions, along with numbered Blue Shimmer Refractor, Green Refractor, Bowman 70th Logo Refractor (#/70), Gold Refractor (#/50), Orange Refractor (#/25), Red Refractor (#/10), SuperFractor (1/1) and Printing Plates (1/1). PARALLEL CARDS: Refractor, Blue Shimmer Refractor #/150, Black Shimmer #/100, Green Refractor #/99, Bowman 70th Logo Refractor #/70, Gold Refractor #/50, Orange Refractor #/25, Red Refractor #/10, SuperFractor 1/1, Printing Plates 1/1. Is there a black shimmer parallel in this set? Looks like it does have a Black Shimmer. 2017 BOWMAN CHROME BASEBALL MINI HOBBY FACTORY SET - SEALED - BONUS REFRACTORS! !